The top ten summits to view the Southern Appalachian fall foliage. The ten sweetest summits for savoring Southern Appalachian foliage. For most of the year Mother Nature wields her paintbrush with broad strokes: light green in the spring, forest green in the summer, and (hopefully) white in the winter. Autumn, however, is when Mother Nature digs into her range of colors and lets loose like she was watching Bob Ross re-runs for 10 months. The Blue Ridge is the top spot in the United States to drink in the rich reds, yellows, and browns on display up and down the mountains. Luckily, Mrs. Nature has made it easy to get the best angle on her yearly masterpiece by dotting the Southern Appalachians with bald-topped mountains. These balds are something of a mystery, but one thing we know is they can provide unparalleled 360-degree vistas of the best scenery of the season. From the Alleghenies to the Smokies, there are enough high elevation views to satisfy even the most ardent leaf peeper. Here are 10 of our favorites. The Roan Highlands contain one of the largest concentrations of balds in the Appalachians, and the cream of the crop is Grassy Ridge. 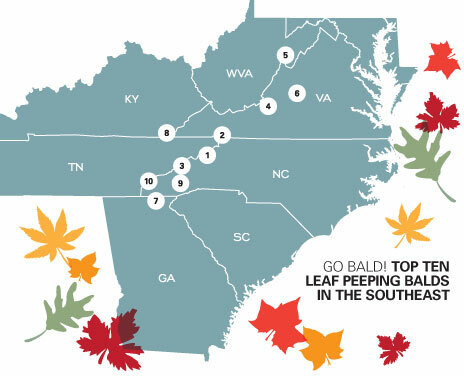 At over 6,100 feet above sea level, Grassy Ridge is the third highest bald in the Southern Appalachians—only Black Balsam and Richland Balsam rise higher. What sets this mountain apart is the vastness of the open space at its summit. Grassy Ridge is the pinnacle of three major bald peaks in the Roan Highlands, which also include Round Bald and Jane Bald. 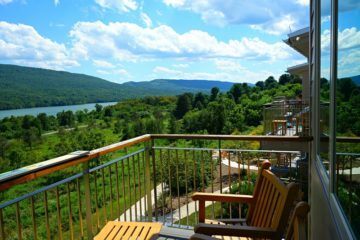 Together, these three peaks form the South’s premier leaf peeping spot with several hundred acres of 360-degree, panoramic vistas. The Appalachian Trail runs along all three, and thru-hikers say this is the most scenic stretch of the entire trail. 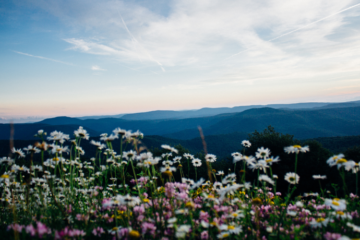 From the top of Grassy Ridge, look east to see Grandfather and Beech mountains and south to see Mount Mitchell and the rest of the Black Mountains. This grassy bald is home to several unique flora including rhododendron, azaleas, and the very rare Gray’s Lily. HIKE IT Grassy Ridge is easily accessed from the Carvers Gap parking area on Route 143, 12 miles south of the town of Roan Mountain, Tenn. On the opposite side of the road from the parking area, take the Appalachian Trail north, crossing Round Bald and Jane Bald. When the A.T. takes a sharp left, take the Grassy Ridge Trail right to the summit. After exploring the ridge and views, reverse course back to the car for a 5-mile round trip, gaining just over 1,000 feet in the process. BACKPACK IT Grassy Ridge spans seven miles and covers over 1,000 acres of highland plateau, perfect for camping under the biggest sky in the area. Hike the ridge in its entirety, and then pitch your tent just off the summit in established camping areas. Make sure you pack enough warm clothes and rain gear as the high elevation can cause extreme weather patterns. Buzzard Rock is labeled as its own mountain peak, but to the untrained eye it appears as just a ridge of Whitetop Mountain, the second highest peak in Virginia. 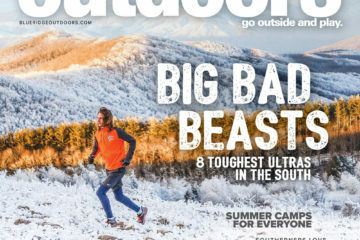 The state’s highest point, Mount Rogers, lies just northeast of Whitetop’s summit, so one could say Buzzard Rock is the baby brother of this trio. At over 5,000 feet, however, this bald is still a formidable feat for any hiker. There is a gravel road that winds all the way to the summit of Whitetop, making it the easiest and highest peak you can drive to in Virginia. Views are somewhat obstructed at its summit, so a trek down to Buzzard Rock gives you the best vistas in this mini-mountain chain. Because this summit is accessible by automobile, it can become crowded during peak season. This is all the more reason to park the car at the bottom and take the A.T. to the summit. The actual Buzzard rock is made up of rhyolites, a unique volcanic rock thought to have hardened from lava ejected from Mount Rogers 700 million years ago. The Whitetop Mountain area also holds some of the most threatened highland plants in Virginia, so summiting is truly like stepping back in time. HIKE IT Park at the Elk Garden trailhead at the bottom of the mountain off Route 600. Take the A.T. south (same side of the road as the parking area) and follow the trail to Buzzard Rock at the 3.2-mile mark, gaining just over 1,000 feet along the way. The rocky formation is a great spot for a picnic. BIKE IT Take advantage of the gravel road leading to Whitetop Mountain’s summit by riding your bike to the top. From the Elk Garden parking area, head south on Route 600 for a short distance, then take a sharp right onto FS 89, the summit road. This 4-mile quad burner will test your endurance with its steep switchbacks near the top, but the views – and the downhill – are well worth it. At just over 4,600 feet, many other mountains in the immediate vicinity dwarf Max Patch, but what it lacks in height, it makes up in sheer baldness. This mountain summit was first cleared in the 1800s for cattle and sheep grazing and was even once used as a landing strip for aerial tours of the region. Today, the Forest Service maintains Max Patch with a mowing tractor; no easy task given the 350 acres of open space at the summit. The A.T. crosses here and many hikers consider this one of the trail highlights. So what is it about Max Patch? In short, it’s the views. Complete 360-degree panoramas of the surrounding area make this one of the most scenic spots in the Southern Appalachians, even on a hazy day. Look east to see the tallest peak this side of the Mississippi, Mount Mitchell; the southern horizon is dominated by the Great Smoky Mountains. All that openness also provides a large star-gazing window, and the relative ease of access makes this a prime night hike destination. HIKE IT Max Patch is easily accessed from a dedicated parking area off Max Patch Road (HWY 1182). A short and moderate 2.6-mile loop around the bald intersects with the A.T. and will take you to the top. 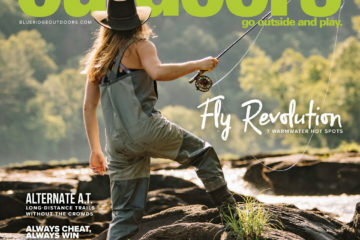 Many trails crisscross the summit, so don’t be afraid to explore, or try the short out and back to Roaring Fork Creek on the A.T.
KITE IT With over 350 acres of meadow, Max Patch is the ideal place to spread out with a picnic, a dog, and a kite. Consistent winds make this bald an epic kiting location, so take advantage of the opportunity. Located just outside Roanoke, Va., McAfee Knob is the most photographed spot on the Appalachian Trail, and one of the vistas favored by thru-hikers. This reputation means you will not be alone on this hike no matter when you do it, but the views from the knob more than make up for any lack of isolation. McAfee Knob is a rock structure that juts out from the mountain like a huge, prehistoric diving board hovering over the valley below. 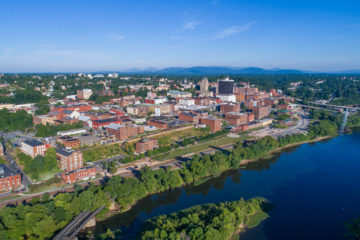 The exposed overhang gives those willing to brave the trek unobstructed 270-degree views of the Catawba Valley and Jefferson National Forest to the west, Tinker Cliffs to the North, and the Roanoke Valley to the east. Once atop McAfee Knob, explore up and down the ridgeline. There are several more overlooks and also huge boulder fields to use as your personal playground. These boulders and McAfee Knob itself could be the most perfect place to have a trail lunch in the Southeast. If you start early enough and time it right, you may have some quiet time at the top before the crowds show up. HIKE IT The most popular and easiest way to McAfee Knob is via the A.T. from the trailhead off State Route 311 (Catawba Valley Drive) just east of Catawba Creek. This 8.5-mile out and back climbs gradually and is well marked and maintained. Another option is connecting the Andy Layne Trail to the A.T. from the north, creating an 18-mile round trip backpacking excursion. BOULDER IT This area is full of huge boulders displaced when the continents were bumping and grinding during the beginning of time. Enter the Devil’s Kitchen, Mickey Mouse, or the Belly Boulder area for quality beginner to intermediate problems; all are only a short trek from the main path and most can be seen from the trail. There are plenty of places in wild, wonderful West Virginia to get an eyeball full of leaf-changing glory, but to get the full effect, get to the state’s highest point, Spruce Knob. Nestled just inside the Monongahela National Forest, Spruce Knob sits on the edge of a high plateau that drops steeply to the east nearly 2,000 feet to the North Fork Potomac below. With this dynamic landscape and elevated prominence, Spruce Knob is one of the most scenic areas in a very scenic state. A dirt road ascends nearly to its summit and a large observation tower at the top provides additional man-made elevation to the experience. The weather can get pretty nasty high atop Spruce Knob, especially during the shoulder seasons, so be prepared for high winds and rapidly changing weather patterns. This volatility also gives Spruce Knob, with wind twisted trees and large boulder fields, the look and feel of a high alpine forest more reminiscent of the Colorado Rockies or Western Canada than the mid-Atlantic. While you are up there, you may also catch a glimpse of one of the more unusual animals to make its home in the Appalachians: the Northern Virginia flying squirrel. Be sure to check the status of the forest service roads heading to the summit before departing, as they are not maintained in winter, and October and November snow is not unheard of in the area. HIKE IT From the parking area at the top of Spruce Knob, you can take the Whispering Spruce Trail on a half-mile loop around the southern slope, taking in even more vistas along the way. This area is full of well-marked, interconnected trails, so putting together loops of any length is possible. BIKE IT It wouldn’t be West Virginia without a little mountain biking and the Spruce Knob area is top notch. 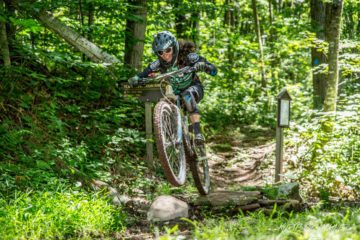 The International Mountain Bikers Association recently gave Spruce Knob Epic Trail status, so exploring the region by bike is probably the best option. Start at the Spruce Knob Lake Campground and make your way up FS 112 and 104 to the observation tower. From there take the Huckleberry Trail on a classic 5-mile descent before taking a left onto Judy Springs and then onto Bear Hunter Trail and Allegheny Mountain Trail before cruising back south on FS 112. No, not that Cold Mountain. This Cold Mountain is actually Cole Mountain, but its official name was lost in translation somewhere down the line, and is not the same mountain from the book. That Cold Mountain is in the Shining Rock Wilderness of North Carolina. It offers spectacular foliage views through the trees, but its summit is choked with vegetation. This Virginia bald is located west of Lexington in the George Washington National Forest and stands just shy of 4,000 feet. This may seem shrimpy for this list, but 360-degree views from one of Virginia’s only bald summits cannot be ignored. 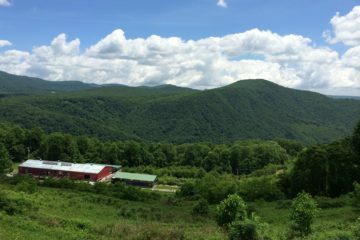 From the high meadow of Cold Mountain you can see Mount Pleasant and Pompey Mountain, along with vast swaths of the George Washington National Forest. Like so many of the balds on this list, the A.T. traverses its top—those lucky thru-hikers! Get to the top of this mountain at the right time and you are sure to take in a landscape covered in the patchwork of reds, yellows, and browns, that make the region around the Blue Ridge Parkway so famous. This is also a great excursion to avoid the rubber-neckers on the BRP. HIKE IT Take Coffeytown Road from Route 60, then turn right onto Route 755 (Wiggins Spring Road) to get to the Mount Pleasant trailhead at Hog Camp Gap. Take a left at the Hotel Trail (blue blazes) where it meets the A.T. at about the 3.5 mile mark. Take a right and switchback up to the open summit. After taking in the views, cross the meadow on the A.T. and follow it back to the parking area. The hike totals around five miles with 1,500 feet of climbing. BACKPACK IT Alternately, you can link the Hotel Trail and A.T. with the Mount Pleasant Loop to create a 12-mile circuit, perfect for a casual backpacking trip. What better way to see the fall foliage of the Peach State than from its highest point, Brasstown Bald. Brasstown has been a ritual climb for cyclists for years due to its agonizing grade – the Tour of Georgia’s 5th stage finished at its summit, challenging even the likes of Lance Armstrong. One can drive nearly to the top of Brasstown, a large parking lot a half mile from the summit provides easy access and there is even a shuttle to the very top that virtually eliminates the need to exert any energy to summit. Brasstown Bald is located about an hour and a half from Atlanta. Since it’s the highest point in Georgia, the summit gets a lot of traffic. 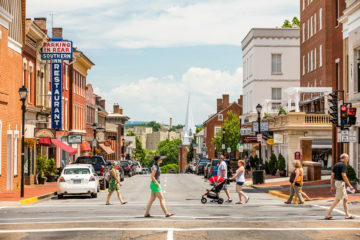 It is no wonder since you can see four states and the skyscrapers of the big city from the lookout tower and visitor center that adorns the top. This also makes for amazing high elevation leaf peeping no matter how you get there. Also consider a night or pre-dawn trip as the stargazing is out of this world. HIKE IT Ditch the car crowds by taking one of the numerous footpaths that lead up the mountain. The most scenic of these is the Arkaquah Trail, your best bet for maximum color exposure. The trailhead is located off Trackrock Gap Road near the petroglyphs, about 3 miles south from its junction with US 76. This is a moderate to strenuous 11-mile round trip that starts steep but then traverses a high ridge, providing great vistas throughout. BIKE IT Charge it like the pros! This is one of the Southeast’s signature climbs on a road bike, turning many riders into walkers by the end, so be sure to get a few miles of flat land in to warm up those quads before tackling this behemoth. Twenty percent grades await those willing to challenge Route 180. When Daniel Boone and his posse blazed a trail through Cumberland Gap in 1775, I doubt they had time to take in the amazing colors of the changing leaves. Lucky for us, he did the hard part and now we have leisure time for sightseeing in this beautiful part of the country. Located at the junction of Virginia, Tennessee, and Kentucky, Cumberland Gap National Historic Park is the gateway to the West and holds some of the most dynamic geology in the Blue Ridge. From sheer cliffs and ridges to underground caves, Cumberland Gap’s outdoor diversity is unparalleled, and this makes for some extreme vistas. So, what’s the most scenic spot in this scenic spot? Avoid the crowds at the Pinnacle Overlook and visitor center at the southwestern end of the park and head for White Rocks at the northeastern end of the park. For over two centuries, this rocky bluff signaled to settlers crossing the gap that they were almost there; its white quartzite embedded in sandstone a beacon to the West. These days, White Rocks provides spectacular views of Virginia’s Powell Valley, Tennessee, and Kentucky for those willing to hoof it to the top. With unobstructed vistas of three states, standing on this rocky outcrop is a must-do adventure while passing through the gap. 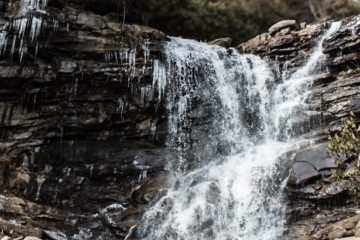 HIKE IT From the trailhead at Civic Park in Ewing, Va., take the Ewing Trail for a fairly steep 2.5 miles to the White Rocks Trail. A short half-mile scramble will get you to the White Rocks overlook for a 6.5-mile round trip. Be prepared for a workout as this trail climbs nearly 1,700 feet. You can also make a 9-mile loop by following the Ridge Trail to Sand Cave, a beautiful natural cave with a large overhanging rock and sandy floor reminiscent of the beach. BACKPACK IT For a longer backpacking trip, pick up the 21-mile ridge trail from the visitor center and take it along the length of the park to Ewing. Pick up a camping permit at the visitor center and pitch camp at one of five camping sites along the trail, including the historic Hensley Settlement. The peak of Richland Balsam marks the highest spot in North Carolina’s Great Balsam Mountains at 6,410 feet and marks the split between the Nantahala National Forest on the east and Pisgah National Forest on the west. The Blue Ridge Parkway also crosses its highest point as it traverses the western slope of the mountain at 6,053 feet. With all that elevation, it is easy to see why Richland Balsam is a happening place during the peak leaf peeping season. The Richland Balsam Overlook and nearby Haywood-Jackson Overlook can get pretty crowded in the late summer and fall, so try to get there early to avoid the throng of Blue Ridge Parkway drivers. Unfortunately, there is no avoiding the overlook parking areas as the actual peak of Richland Balsam is covered and views are limited. However, the mountain holds a very rare stand of spruce-fir forest, along with a treasure trove of other high elevation fauna. A 1.5-mile self-guided nature loop from the Haywood-Jackson overlook is full of wildflowers, lichens, and other native maple and ash trees. The trail loops across the summit and is relatively un-crowded because most won’t climb the extra 700 feet to top out. BIKE IT Since Richland Balsam is on the BRP, the best way to get there under human power is on a bicycle. One of the best rides starts from the Pisgah Inn, just south of Mount Pisgah, and heads south to Richland Balsam. This relatively easy 50-mile out and back gains just over 2,000 feet in a steady climb. BUSHWHACK IT The summit trail is literally a walk in the park, so try this more adventurous peak-bagging route. Just to the south of Richland Balsam lies another 6,000 foot peak, Reinhart Knob, with no trail to its summit, which is only about a half mile off the BRP. A brutal bushwhack through blackberry bushes will get you to the rocky outcrop that marks the summit. 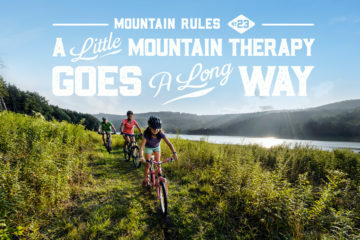 Head down the backside and pick up the Mountains to Sea Trail heading north, then bushwhack again up to the Richland Balsam Overlook. This is not for the faint of heart; peak-baggers only need apply. Stratton Bald is a naturally occurring bald on the edge of the Joyce Kilmer-Slickrock Wilderness in Nantahala National Forest near the North Carolina border with Tennessee. This wilderness area is home to one of the only remaining tracts of virgin hardwoods in the Southern Appalachians, some 450 years old. Huge tulip-poplars stand 100 feet high and 20 feet around, and this old-growth forest supports a huge range of plants, from low-lying ferns and underbrush to gorgeous wildflowers. Walking into this wilderness is like walking into the land before time, or at least the land before loggers. There are over 60 miles of trail inside the Joyce Kilmer-Slickrock Wilderness, most of which intersect at some point, so there are several ways to attack this bald. 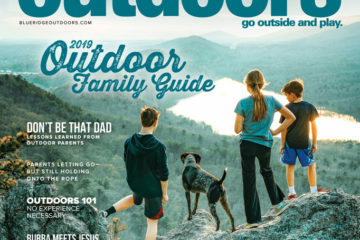 Everything from short day hikes to multi-day, backcountry camping trips are on the table. One thing for certain is that this area is known both for black bear activity and black bear hunting activity during the fall, so be sure to wear blaze orange if hiking during the season. The bears are drawn to these mountains’ dense vegetation and numerous stands of berry plants, so don’t get between a bear and this tasty snack. HIKE IT For a scenic, although slightly strenuous, day hike, set out from the Wolf Laurel Trailhead at the end of Wolf Laurel Road, 4.8 miles from FS 81. Begin on the Wolf Laurel Trail, then take the Stratton Bald Trail at the intersection to the open meadow. 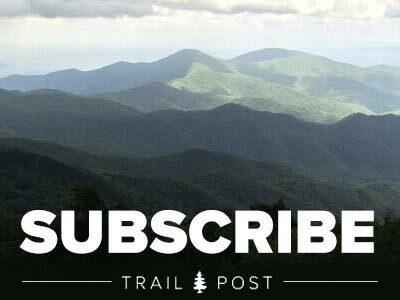 If views are obstructed due to overgrowth, head for the Hangover via the Haoe Lead Trail for panoramic vistas of Nantahala and Cherokee National Forests. How the Southern Appalachian balds were formed and how they maintained their openness through the centuries has been giving scientists fits for years. The summits are not above tree line, like in the West and Northeast, nor are they completely barren of vegetation. Of the two types of subalpine balds—grassy and heath—both support diverse ecosystems of grasses and shrubs, often directly adjacent to vast forests of hardwoods. Adding to the confusion are examples of bordering peaks, one bald and one forested. So why are they here? Did aliens clear them as landing spots for their saucers? Were they the home of spirits like the Cherokee legend of the “Great Rabbit” that lived on top of Gregory Bald? Probably not. Most theories point to a combination of a retreating ice age combined with wild animal and livestock grazing. Native Americans may have maintained the balds with fire as lookouts and hunting grounds. No one knows for sure, and that is creating some controversy. Since a lot of these summits lie inside public parks and forests, widespread grazing is now limited and forests are beginning to reclaim them. Some are now maintained by the forest service with goats and mowers to keep their baldness, but some say we should let nature run its course. Either way, manually maintaining a bald is near-impossible, so get out there while you still can.